Currently in the plans: Paddle tour to Jussarö Tuesday 25.7 kl 10 - Thursday 27.7 and Monday 7.8 kl 10 - Wednesday 9.8. Ekenäs to Källviken monday 12.6.2017 kl 17-21, wednesday 14.6.2017 kl 10-15, tuesday 18.7.2017 kl 10-15. To book we kindly ask you to go to the webshop and tours there. Choose the tour as a product with the correct dates and add preferred options. Only paid purchases are binding to us. First buy first served. In short: This kayak tour starts along the river passing by the 14th century castle of Raseborg. We continue past lake-like bays and narrow lowland channels that are difficult to reach by any other vehicle. 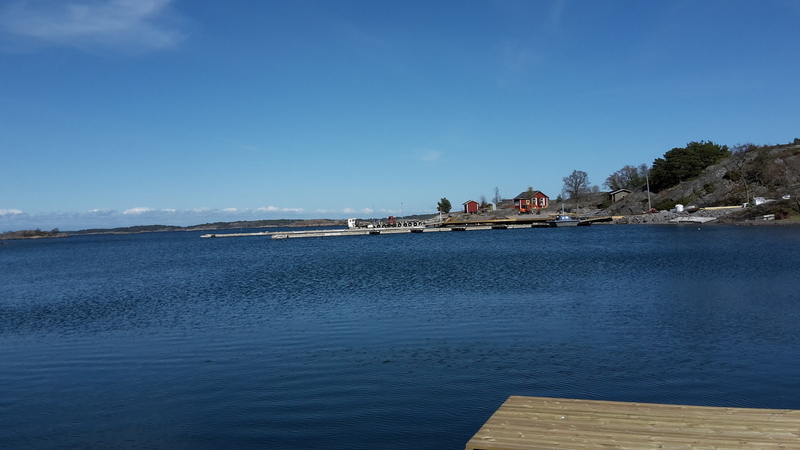 The default meeting place is in Ekenäs by the same shore where we will end the paddle. We estimate the paddle distance to be 18km with four hours of paddling and an hours rest halfway. Travel and preparation is about 1 hour. Minimum skills/target audience: Beginner with a good fysical endurance. Pre-booking and pre-payment. For those who want to do it self guided we do require, as always on self guided tours, that participants have sufficient training and experience to properly take care of themselves and the equipment. Örö island recently opened for the public after beeing a military fortification and restricted area for 100 years. It is located south from Turku and the Kimito and Rosala islands, west from Hanko and Bengtskär lighthouse. Rare protected grass. flowers and butterflys grow and breed in harmony on this wind beaten island. A kayaker will be inspired by beatiful labyrinths of rocks and islands varying of shape. A shortest route by kayak takes in excess of 2 hours, more with time to enjoy the scenery and alternative routes. If we cannot skate, then we can go for a paddle! Or the other way around. What would be a better way to cool an evil Christmas Pixie than to join the company of adventurous "Tomtenissar" for a paddle. This tour will be accompanied by a seasoned and sober Pixie (father Christmas is busy and cannot paddle anyway) who will make sure nobody in the company hurts himself or others and that they are able to continue with their evil Christmas duties. You do not have to bring your own equipment provided you properly fill in your wish list (booking form).